It may confuse someone that luxuries are not costlier always. There should be a proper vision and keen research needed to get the best luxuries in best prices. Today, when Lucknow is getting popularity due to its emerging real estate market, the luxurious residential developments it has are truly magnificent. In the historic city Lucknow, where traditions and sophisticated people are everywhere, one can easily find out here a grandiose place for a luxury lifestyle. A city where culture is very important and welcoming people with a very pleasant gratitude are living, life is very peaceful and calm, away from the hustle and bustle of crowd, noise and pollution of the metro cities. But that does not mean that this city is less developing than any other developed region in India. Several MNCs have selected Lucknow for their new offices and branches. The infrastructure of the city has also been improved a lot. In short, Lucknow is one of the most desirable cities for luxury living in India where you can find a lot more peace and a clearer atmosphere. In the sense of development, excellent roads, huge shopping malls, tallest skyscrapers are giving this city a new shine. A very graceful project, Antriksh Abril Green is now in its final stage of construction and will allow possession for its 2 and 3 BHK wonderful homes in December 2021. The project has many new and exciting features including air-conditioned guest rooms, hi-tech control room and grand entrance lobby with waiting lounge. The earthquake resistant structures in this township are RCC framed and the Vaastu homes available in the area of sizes ranging from 1000 sq. ft. to 1535 sq. ft. The interiors of the dream homes in Antriksh Abril Green Vrindavan Yojna are designed with renowned architects and so they are adorable to everyone. There is ample ventilation in these apartments for natural daylight and fresh air. 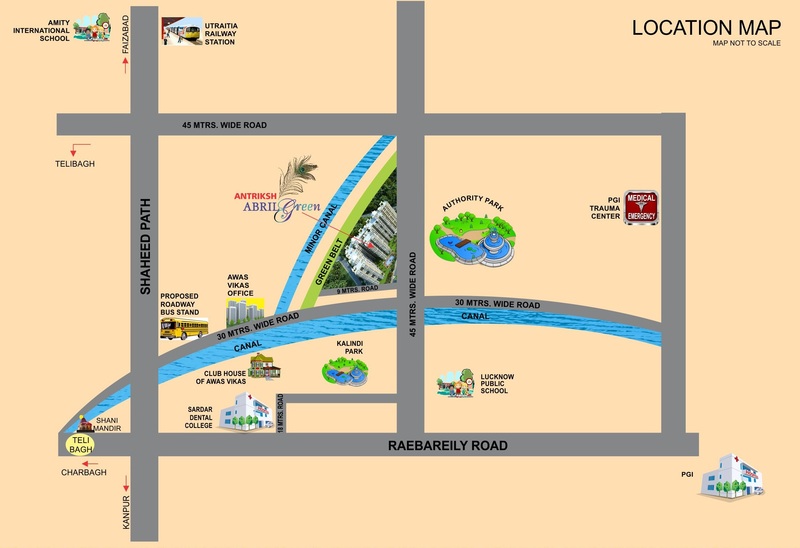 The location of Antriksh Abril Green Lucknow provides seamless connectivity to the residents. It is located very close to Shaheed Path and Raibareily Road and several other wide roads are also providing easy and smooth travelling in this region. With the availability of amenities like intercom, swimming pool, kids’ play area, clubhouse, meditation centre, indoor games, car parking, video security, the development is a better place for a luxurious lifestyle. 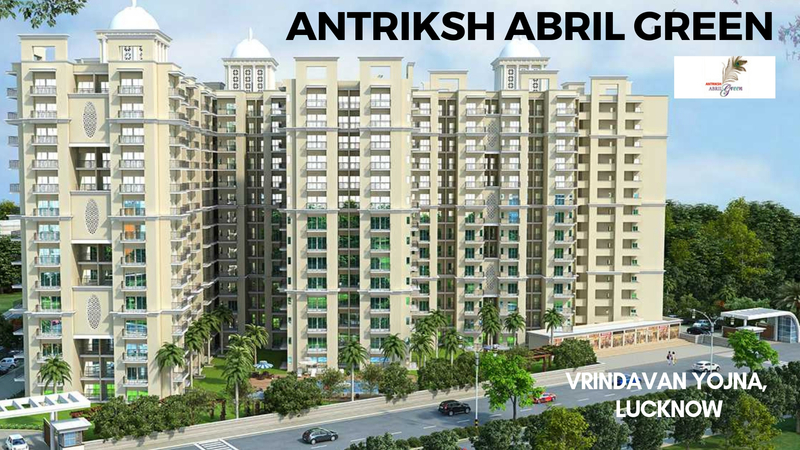 In the Antriksh Abril Green price section, developers have presented a very affordable range which varies from Rs. 33.99 lakhs to Rs. 52.17 lakhs.